While Brodie's rapid growth in the 1960s slowed in subsequent decades, the ski area nonetheless remained quite popular. Heading into the 1990s, nearby areas were generally either expanding or closing. 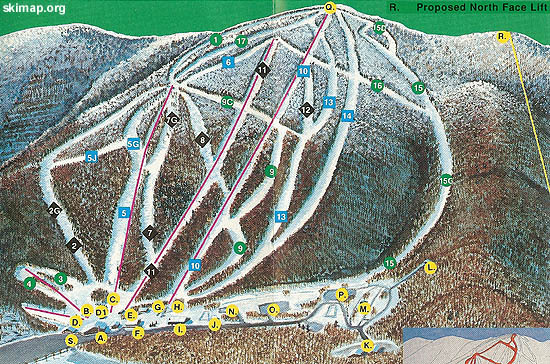 Initial plans were put in place for an expansion to the north of the Tipperary ski trail. A potential lift line was displayed on Brodie's published brochures. The new lift was rumored to be a triple chairlift. The expansion area was eventually removed from future trail maps and Brodie instead boosted their trail count by counting upper, lower, and crossover trails. 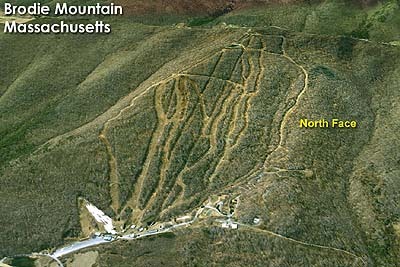 Upon being purchased by Jiminy Peak, there was no further mention of the North Face expansion.